On December 5th, 1984, while laid up sick in Shanghai, Allen Ginsberg wrote one of his lesser-known masterpieces, “Reading Bai Juyi.” The poem begins by talking about Allen’s first month in China, where he had been teaching and travelling after a short visit with a delegation of American writers, and ends with a short biographical piece that copies a poem by Tang Dynasty poet, Bai Juyi. China had fascinated Ginsberg since childhood, with his interest growing in the early 1950s when he discovered the beauty of Chinese paintings and began to think of the wandering, romantic, alcoholic poets of ancient China as akin to his own Beat contemporaries. Yet despite travelling much of the globe in the following three decades, it wasn’t until 1984 that he actually managed to visit China. Although beset by health problems, which were exacerbated by the horrible pollution, he managed to travel around many of the historical sites of interest from Beijing to Shanghai, Suzhou to Wuhan, and even westward to the vast provinces and Yunnan and Sichuan. But it was in Shanghai that he wrote his great China poem. “Reading Bai Juyi” tells us about his experiences in the coal smog-covered country as he attempts to meet the locals and talk politics, all the while aware that he could never say too much, lest he end up in trouble as he had in Cuba and Czechoslovakia. He had been aware of Chinese politics since reading the New York Times as a young boy, and his political interest had been shaped by William S. Burroughs’ introduction of Oswald Spengler’s works, as well as Allen’s experiences in India in the mid-sixties, where he met China’s Public Enemy Number One: The Dalai Lama. Although he had at times sympathized with Mao Zedong, by the time he wrote “Reading Bai Juyi,” he had come to a better understanding of the corrupt, vicious communist regime. As Ginsberg could not speak or read Chinese, he obviously read the poem in English translation. 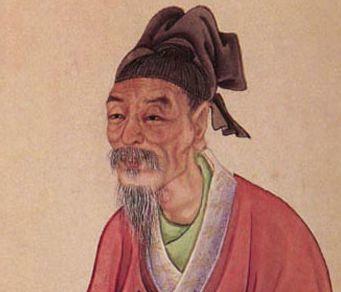 A glance at various collections of Bai and other ancient Chinese poets turned up nothing, and Google showed that the only existing reference to the poem was in books by or about Ginsberg. I began looking for alternate spellings, for during my research I found that he was terrible at getting local place names correct – and scholars usually just copy what he wrote, perpetuating these ridiculous mistakes. But I could find no close approximations. In an audio recording, I heard him pronounce it, “Xinjiang,” which is the name of China’s huge western province, but that didn’t logically make sense. Bai was well-travelled but hadn’t made the enormous trek out to the deserts of the west. I enlisted my girlfriend to look for clues in the Chinese literature. We soon found that Bai was born and raised in a place called Xinzheng, which is close to Allen’s pronunciation, if very much off from his spelling. Yet we could not find a poem under either name. Oddly, many Chinese had left comments on message boards seeking the poem, yet no one knew whether or not it existed. We thought we had a breakthrough when we uncovered various other names for the town, including “Yingyang,” but still there were no poems titled “A Night in Xinzheng/Yingyang.” In fact, there was a tendency among Chinese poets of the period to not title their works at all, and many modern translations are given titles by their translator. We were working from Ginsberg’s poem, which restates Bai’s with Ginsberg’s own biography in place of the Chinese poet, as well as comments from a reading he gave in 1994, and tried looking for poems that matched his description of the original. According to Allen, Bai grew up in the confusingly named town, then moved away as a child, only to return for one night many years later after working as a governor. We directed our research on this basis and found the real story: Bai had indeed stopped over on a trip from Suzhou to Luoyang. I grew up at Xingyang and left the country paths at a young age. Now again, I’m back in Xingyang for the night. I was eleven or twelve when I left; now I’m fifty-six. They still flash before my eyes clearly. In the village, all of my people are gone. Or have the hills and valleys also? Passionless they still flow forward. Knowing the real title of the poem, I soon managed to track down two English translations Ginsberg may well have come across, both by Arthur Waley, who was one of the greatest translators of Chinese poetry into English. The first poem is titled “Stopping the Night at Rong-yang” and the second, “Stopping the Night at Jung-yang.” No wonder it had proved so difficult to find the poem! So where did Allen get the name, Xingyang? It could have been an interpretation by a Chinese friend or student, or perhaps even his friend, Gary Snyder, who had been on the writer’s delegation at the beginning of the trip, and had helped Allen with translation. Perhaps there is another collection out there that transliterates the character as “xing.” However, the title in Chinese clearly stresses staying or stopping or spending a night. Had Allen added a little jazz to to the title? It is certainly unlikely that he ever came upon a poem with the actual title he used, but what is fascinating is that while searching Chinese message boards, there are many people even today looking for a poem titled, “A Night in Xingyang.” Had they all mis-remembered the poem’s real name, or had they read Ginsberg’s poem and been sent down the same rabbit hole I had?